Images above: December 2017 adult coho salmon release into Salmon Creek Estuary. 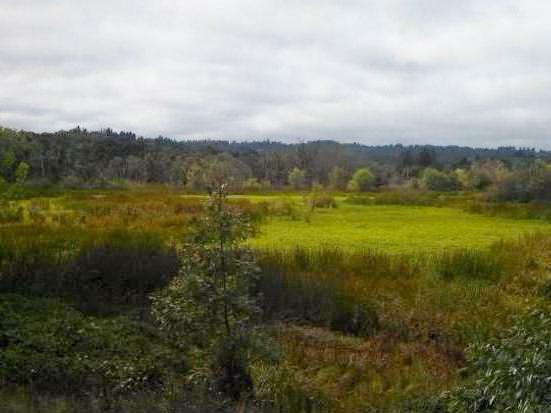 While the Green Valley Creek watershed remains central to recovery efforts of the Russian River’s California Central Coast coho, its largest subwatershed, the Atascadero, remains uninhabited by coho for reasons that have never been identified, despite the presence of high-quality rearing reaches in its upper tributaries. 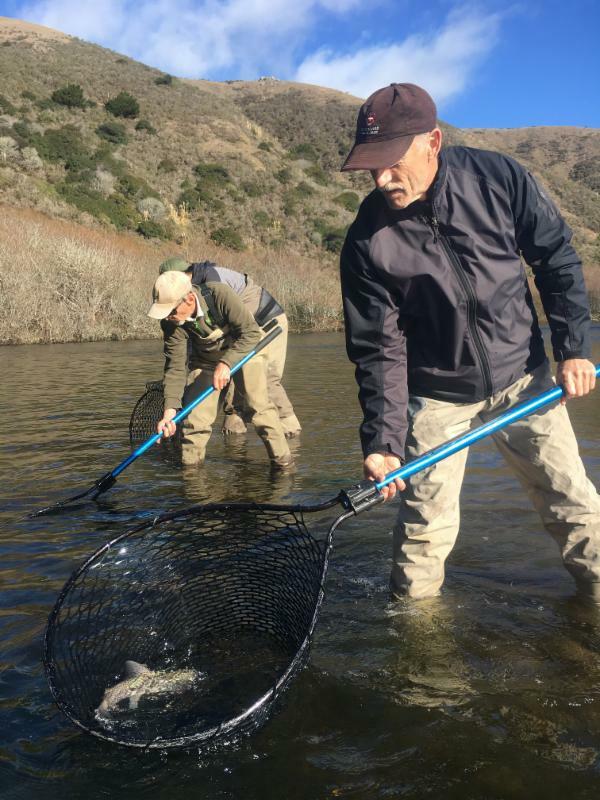 With the Russian River Coho Broodstock Program release of coho juveniles into an upper tributary of Atascadero Creek this past December, a comprehensive planning effort to support their survival and eventual return has never been more pressing. 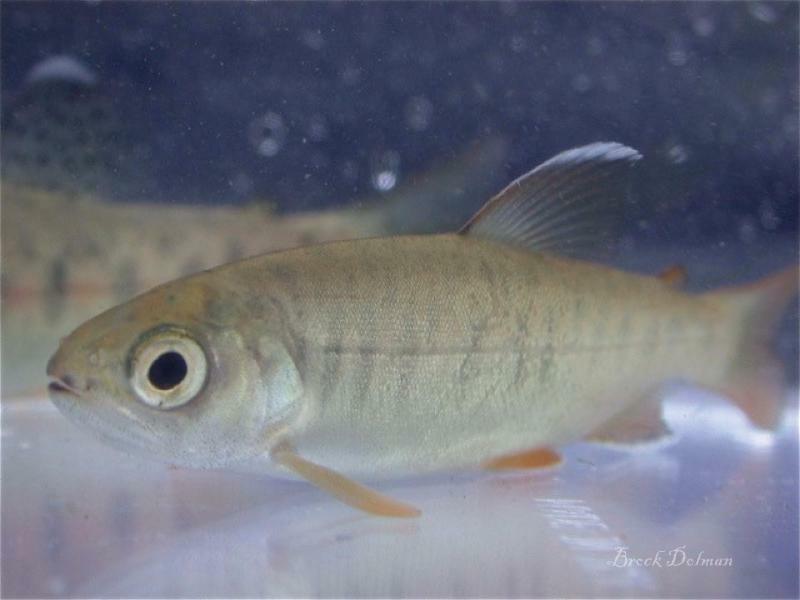 The Gold Ridge RCD has applied for funding from the CA Department of Fish and Wildlife to perform a subwatershed-wide assessment to identify potential limiting factors to coho passage and survival, and to prioritize site-specific projects to address them. In December, the Russian River Coho Broodstock Program made a historic move by placing just over 3,000 juvenile coho salmon into Redwood Creek, a minor tributary of the Atascadero Creek subwatershed. The fish entered a 14-square-mile subwatershed. Coho salmon are thought to have been in the Atascadero subwatershed historically, though they have not been recorded as observed in any of the recent surveys. 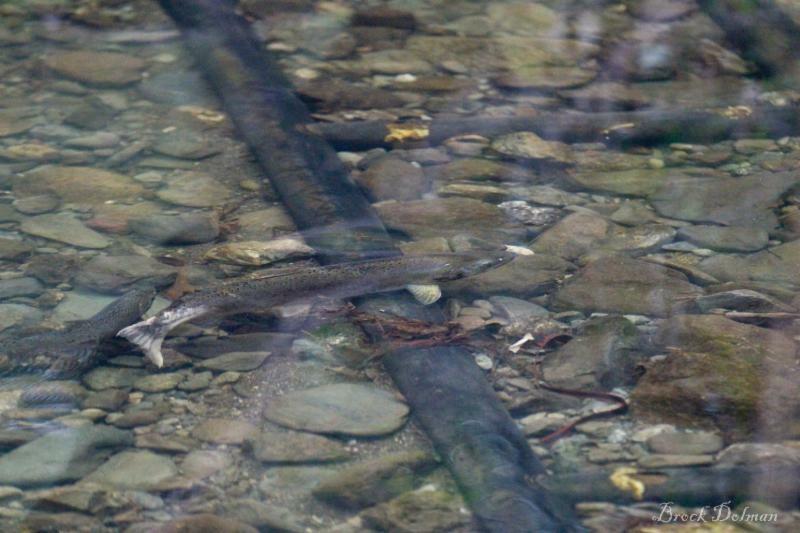 Though these salmon are expected to thrive in the system, it is unknown if they will meet barriers (physical, water quality and/or habitat barriers) during their outward migration toward the Russian River. Assessing the accessibility of the subwatershed to coho is a goal of the Gold Ridge RCD's proposed new program. This winter, residents of Redwood, Jonive, and Sexton Creek can keep an eye out for these new members of the watershed. We encourage you to take measures to make the creeks a safe home for these young fish. In December, Gold Ridge RCD ecologist Sierra Cantor participated in an exciting annual coho release in the Salmon Creek Estuary. CA Dept of Fish and Wildlife and the Army Corps of Engineers brought nearly 150 adult coho salmon from the Warm Springs Fish Hatchery in Geyserville, Ca to be released into the Salmon Creek Estuary of Bodega, Ca. Originally bred for the Russian River's watersheds, these coho salmon could not be used in the Russian River Coho Salmon Captive Broodstock Program due to volume of fish. It is an annual tradition to bring select broodstock coho to the Salmon Creek watershed to expand the genetic diversity and number of spawning adults present for the fall season salmon spawn event. As waters rise with additional winter rainfall, the Salmon Creek Estuary will connect to the Pacific Ocean and offer ocean-dwelling adult coho entry. These ocean-dwelling adults will enter the system for the final leg of their life's journey: the return to their natal creek to spawn. The newly released hatchery coho will have a chance to mate with these returning ocean-going adults (and each other). Regardless of the parent fish's background, the progeny of all these fish are considered "wild." Following the rains in November, 42 unique PIT-tagged coho salmon were documented entering the Russian River, with an expanded count of 197. The majority of these fish were 2-year old returning males, or "jacks" (95%). Interestingly, all of the 3-year old hatchery adults were born in Dutch Bill Creek.